Everyone has a story...what's yours? 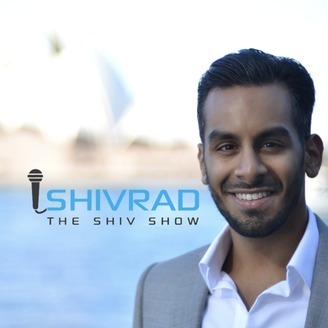 The Shiv Show is all about people getting to know people. Here at The Shiv Show, we stab in the right direction! Our guests tell us their stories, trials and tribulations in life, hardships, and of course, their road to their many successes. 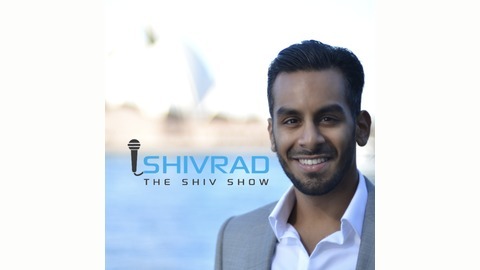 Shiv Rad is an author, podcaster, salesman and an all around fun guy! For more information on your host, please visit shivrad.com. Ep. 25 - Choosing happiness, with the host of 'Learn, Grow, Do, Repeat' podcast, Jamie Totino! This podcast is two times the fun, with two hosts that live life to the fullest! Listen in on episode 25 of The Shiv Show (and episode 15 of Learn, Grow, Do, Repeat) as both Jamie and I interview each other on a completely 'winged' podcast. We talk about the importance of having fun, and how putting fun before change actually helped us adapt to the changes we faced. No notes-- just flow, and some bromance, this podcast is one to listen to! Don’t forget to subscribe, rate and review on Apple Podcasts, or check it out on Spotify — Here is Jamie Totino! Ep. 22 - Backing up your Foundation, with John Gannon from Posture Strong!